Home » Tea and Crumpets » Tea and Crumpets Filmcast Episode 14. Tea and Crumpets Filmcast Episode 14. Another week, another hour or so of gabbin' about film on the Tea and Crumpets Filmcast. With Dominic Mill in Sundance, Liam hosts goether with Dr Lindsay Hallaw, Matthew Lee and myself. It's been a choppy old week in the movies - from the excellence of Ex Machina (woooo!) 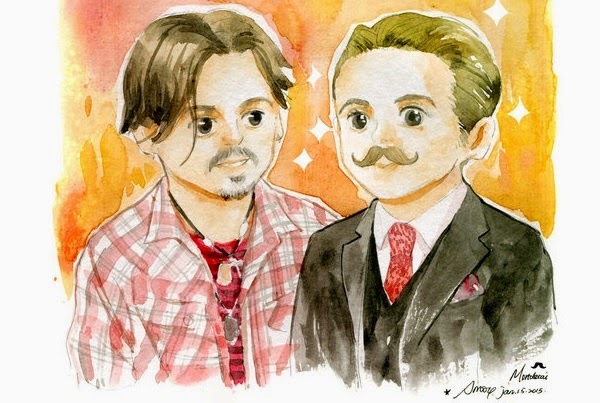 to the absolute pits of Mortdecai (hisssss). Enjoy!